Discover Hawaii’s old traditions in a new way via this small yacht adventure in America's very own paradise, the Hawaiian Islands. This unique four-island Hawaiian Seascapes itinerary allows you to authentically discover Hawaii's rich traditions and spectacular natural wonders. From your base aboard the 39-guest Safari Explorer, watch for whales off Maui and the Big Island of Hawaii. Explore the naturally pristine areas of Hawaii that can only be accessed by sea. Experience traditional Hawaiian history and culture as you explore the islands with an intimate group of like-minded travelers. This active itinerary includes time for snorkeling, paddleboarding, kayaking, hiking, touring local farms and museums, and even night snorkeling. Each evening, slip into a different sheltered harbor or inlet for exploration. Plus enjoy a splendid dinner on board, as the sun sets, a fragrant breeze emerges and the coconut palms sway on the nearby shore. Welcome to Hawaii! You’ll be transferred to a hospitality suite on Moloka'i for a warm aloha. Later, the Captain and crew greet you with smiles and champagne as you board the awaiting Safari Explorer. This evening, settle in and enjoy dinner aboard the yacht, before a presentation about your week ahead. A warm Aloha spirit gives you a sense of Hawaii long ago. No stop lights, no high-rises, just a welcome slower pace. “Talk story” with locals and experience their land and traditions as few visitors ever do. You’ll hear legends and lore, then take in a cultural lessons in taro patches and poi making, or hike to a towering waterfall in Halawa’s cathedral valley, one of the island’s most historic places. At the Moloka’i Museum, discover the history of this ancient homeland as you enjoy an evening pa’ina (feast), complete with a home-style Hawaiian jam session. Gear up for a day of play on the “Private Island.” Thousand-foot sea cliffs line the shore and ancient volcanic plugs sit both above and below the water surface as host to a wide diversity of marine life. Snorkel, paddleboard, kayak and explore by skiff. 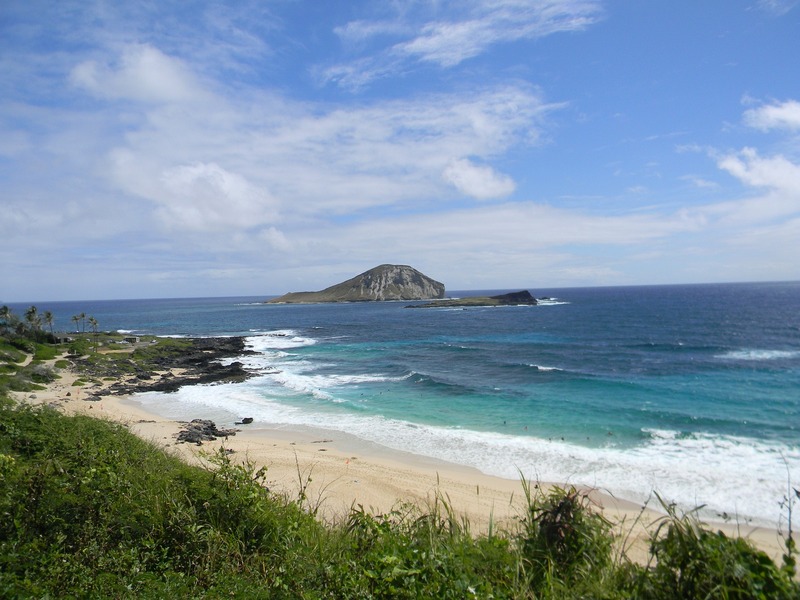 Enjoy a short hike to the island’s spatter and cinder cone. Learn about the islands plantation days with a visit to the quaint Lana’i Culture and Heritage Center. In ancient times, Olowalu was considered a place of refuge. Today, it delivers a treat of snorkeling among coral gardens teeming with underwater life and a known sea turtle habitat. The Humpback National Marine Sanctuary — located between Lana’i, Moloka’i, and Maui — provides front-row seats as you cruise through these productive marine breeding grounds searching for dolphins, whales and other marine life. Leave it to your Captain and crew to seek out and unveil the best opportunities the islands hold in store today. Dramatic volcanic backdrops, marine life sightings and chances for snorkeling, kayaking and paddleboarding are all possible! Fringed by coconut palms, Honomalino Bay offers a morning of snorkeling, paddleboarding and kayaking. The bay reveals a diversity of colorful corals, sponges and tropical fish. Lava tubes, kayaking and skiff tours fill out your last day of ultimate adventure in an area known to be favored by marine mammals. This evening anchor at an offshore location to search for and night snorkel with Giant Pacific Mantas. As the Safari Explorer docks at Kawaihae Harbor, you'll be transferred to the Kona Airport or to your extended hotel stay. The Safari Explorer is the Goldilocks of small ships. She is not too big, not too small, but just the right size. She offers the space and ammenities of a larger small ship but maintians the intimacy and efficiency of a smaller yacht. She continually receives rave reviews from AdventureSmith Explorations staff and our clients. While the cabins and common areas are very nice it is her service, programs and cuisine that stand out the most. Choose the Safari Explorer if you are seeking a small ship that feels like a yacht. Expect as much activity as you wish with the luxury you would expect from a much larger ship. In this detailed review of the Safari Explorer, find the complete small ship description with deck plans and a photo gallery. After reading through our Safari Explorer review above and detailed ship description below, contact our Alaska cruise experts for more information and to compare this ship with other Alaska and Hawaii small ships and yachts. Sauna, yoga classes and a complimentary massage. Kids 8 years and older are welcomed aboard all departure dates; exceptions for children 7 years and under may be allowed with special pre-approval. Save $500 per child, ages 8 to 13, with the exception of holiday departures. Charters are also available, and perfect for families or small groups. Call for charter rates and details. If a client has a complaint against AdventureSmith Explorations or the third party supplier, the client must first inform the tour leader or company representative while on the tour in order that the tour leader or representative can attempt to rectify the matter. Any further complaint must be put in writing to the company within 30 days of the end of the tour. I agree that any dispute concerning, relating, or referring to this agreement, AdventureSmith Explorations tour brochures or any other materials that concern my tour, the tour itself, or any claim for damages due to property injury, bodily injury or death which occurs during or in connection with my tour, shall be resolved exclusively by binding arbitration. The binding arbitration shall take place in San Diego County, California, USA, in accordance with the rules of the American Arbitration Association. Such proceedings will be governed by substantive (but not procedural) California law. The arbitrator and not any federal, state or local court or agency shall have exclusive authority to resolve any dispute relating to the interpretation, applicability, enforceability, conscionability, or formation of this contract, including but not limited to any claim that all or any of this contract is void or voidable.